Growing up with a Jewish dad and a Spanish & Sicilian mom, I was introduced to all types of awesome foods. 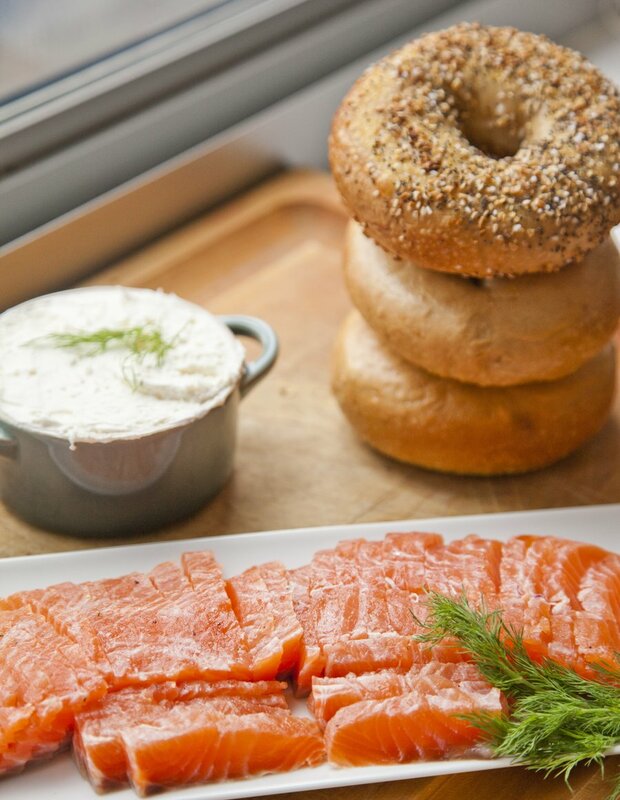 But one of my favorite foods (even as the world's pickiest child) has always been Lox. 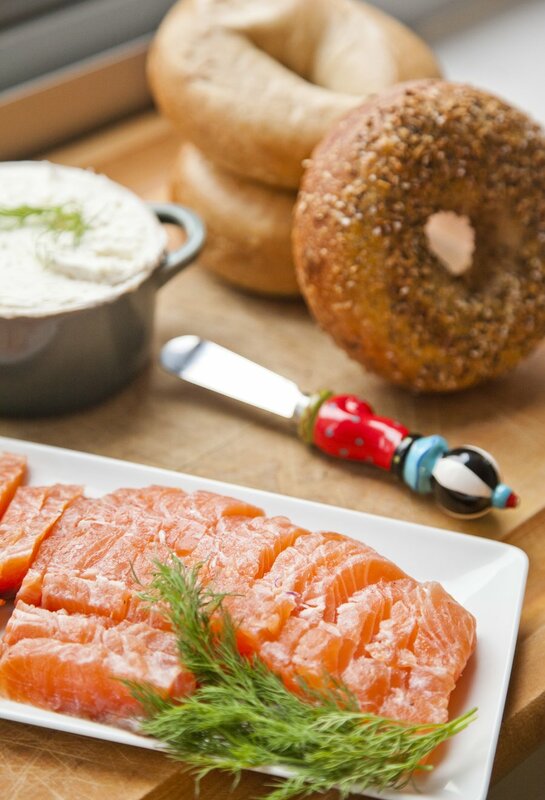 Having a bagel with cream cheese and lox is maybe one of my favorite things in the world. As a kid, it was a special treat....my dad and I would go to this local Jewish deli which had the BEST lox I have ever had til this day. 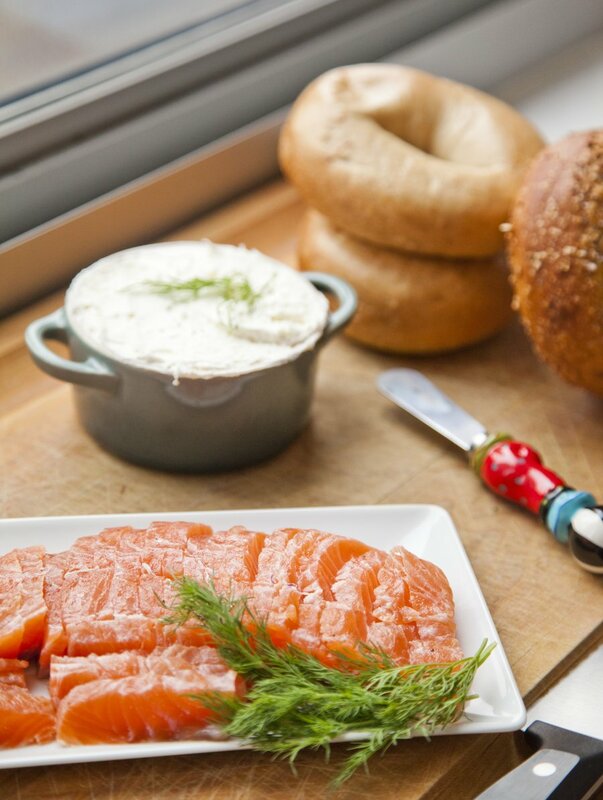 The deli is Andel's in Roslyn, Long Island, and they have the kind of lox that melts in your mouth. However, Andel's prices are a little less than a bargain....as my mom would say "you have to take a loan out on your house to buy 1/2 a pound of lox." Now living in NYC, lox is even more egregiously priced. 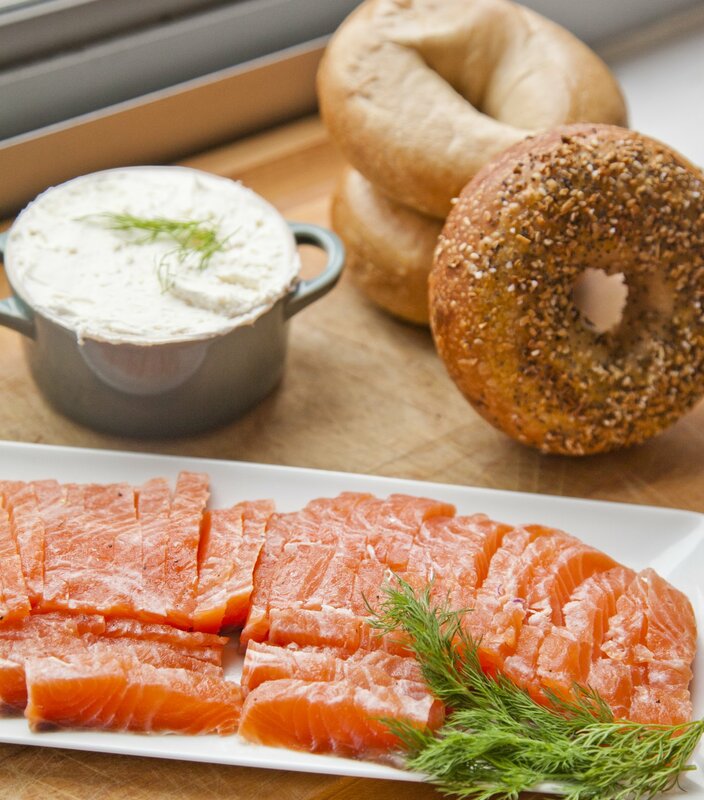 A vacuum-sealed pack of not so great lox goes for $8 per 1/4 pound! For those who are math impaired that's $32/pound....more expensive than Filet Mignon.....my inner cheap-o-alarm is sounding loudly. 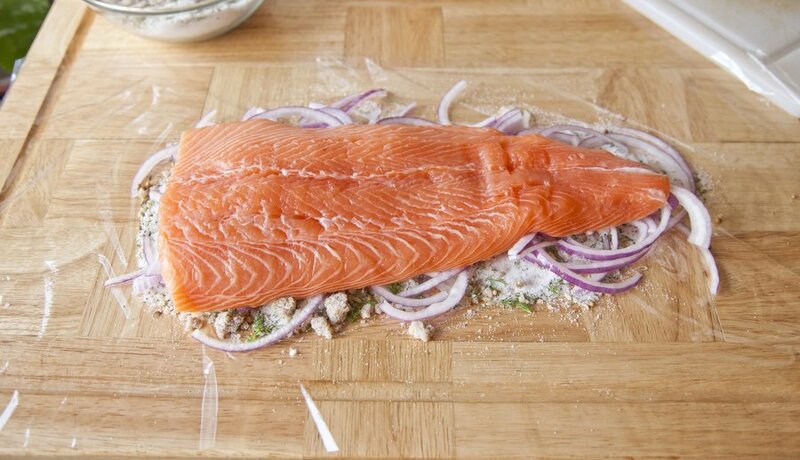 So, I decided this week I was going to make my own lox (or gravlax). 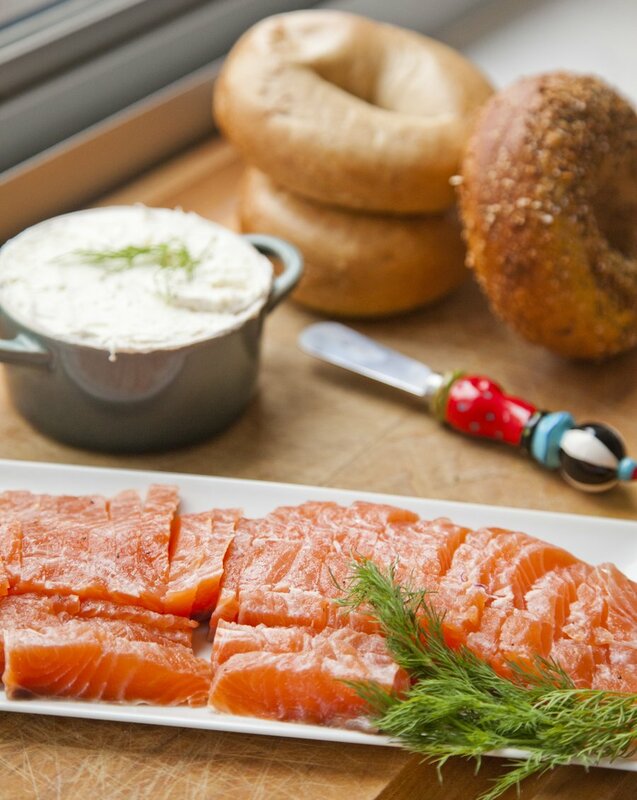 Lox has become synonymous with "smoked" where as gravlax is just cured Salmon without the smoke. I bought a salmon filet and then cured it about 28 hours to reveal an awesome Gravlax! 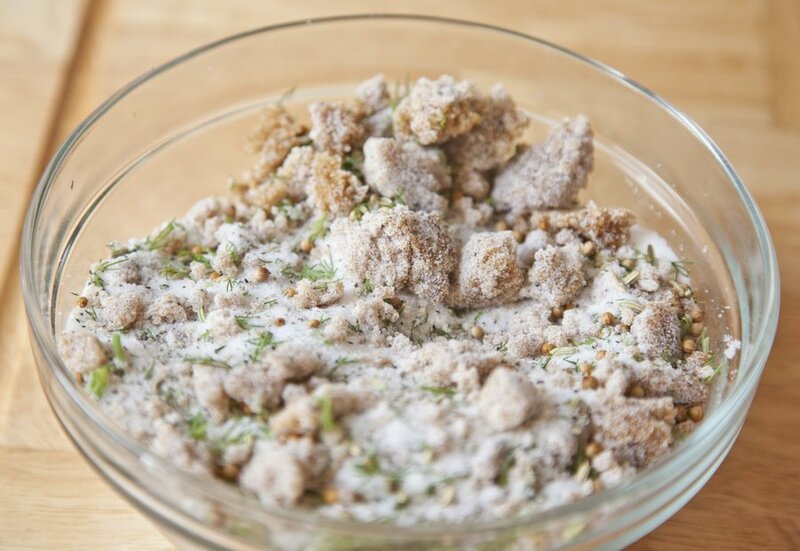 In a bowl combine your salt, dill, fennel seeds, coriander, black pepper and brown sugar - stir to combine. 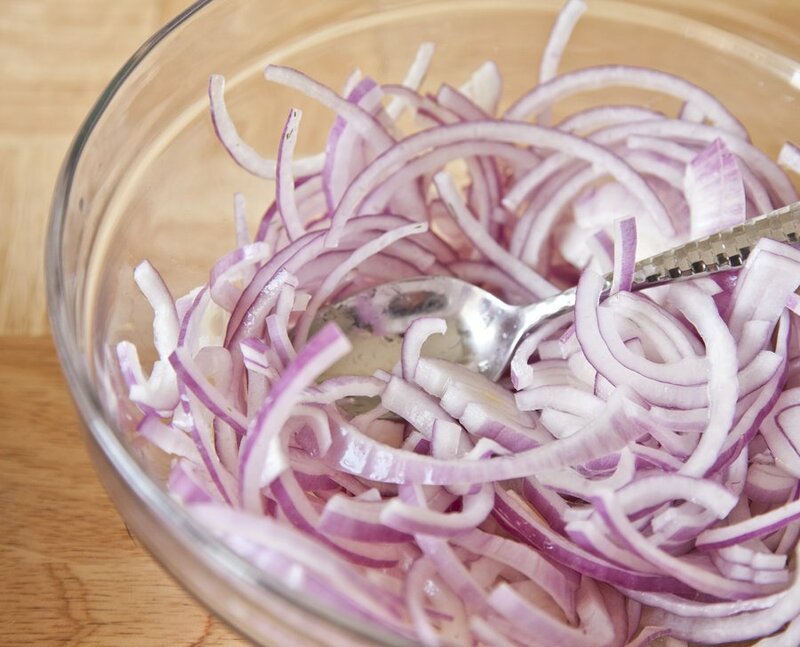 In a separate bowl, combine your sliced onions and lime juice - toss. 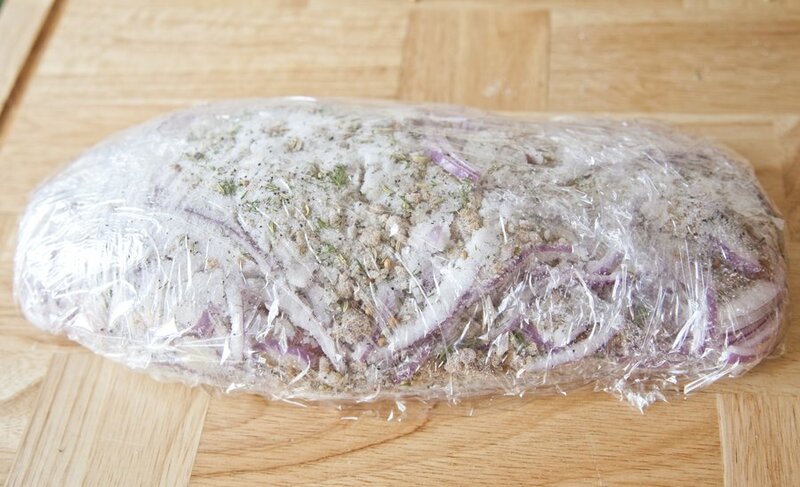 Lay down a long piece of plastic wrap. 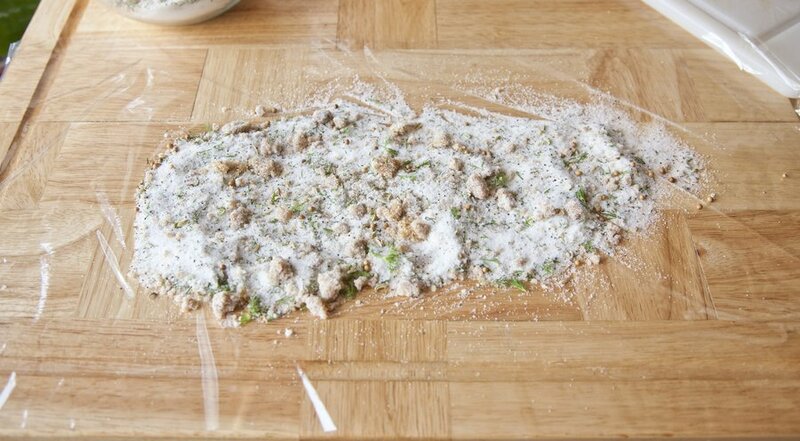 On top of the plastic wrap spread out half of your salt mixture. 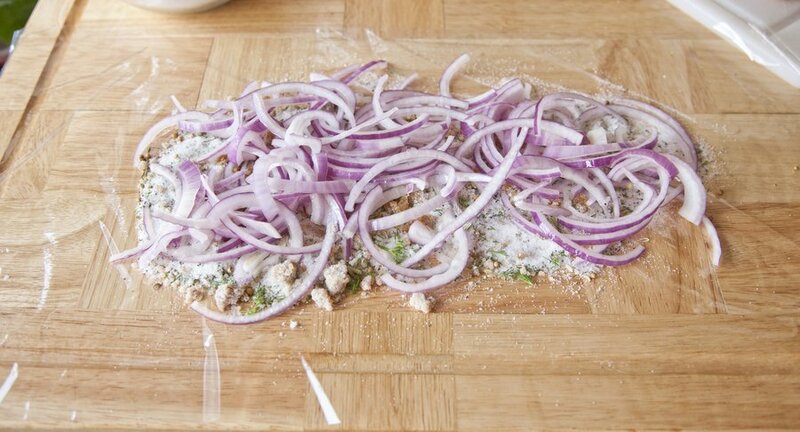 Top with half of the onion mixture. 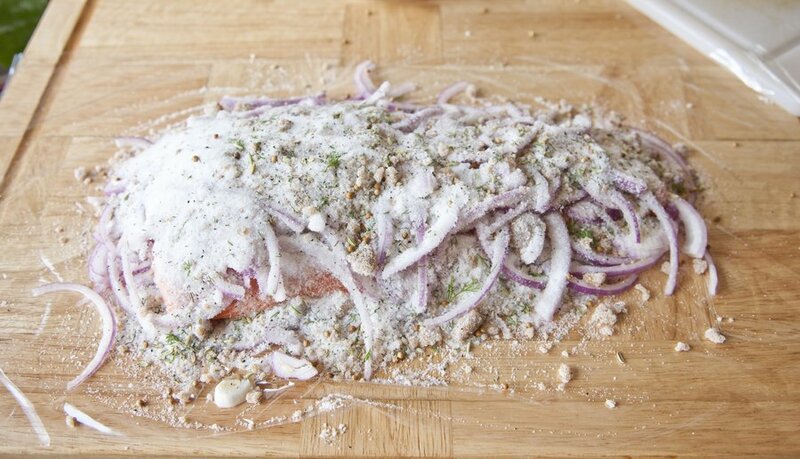 Lay down the salmon and top with the rest of the onions and then the rest of the salt cure. 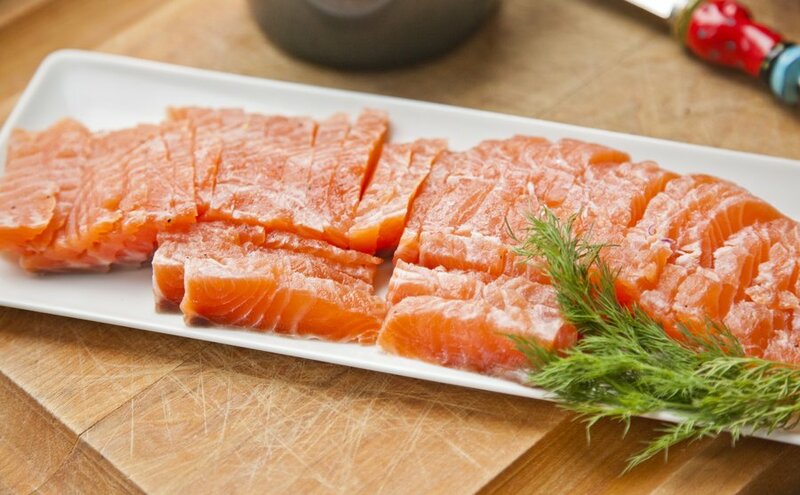 Make sure you get the salt cure on the sides of the salmon too. 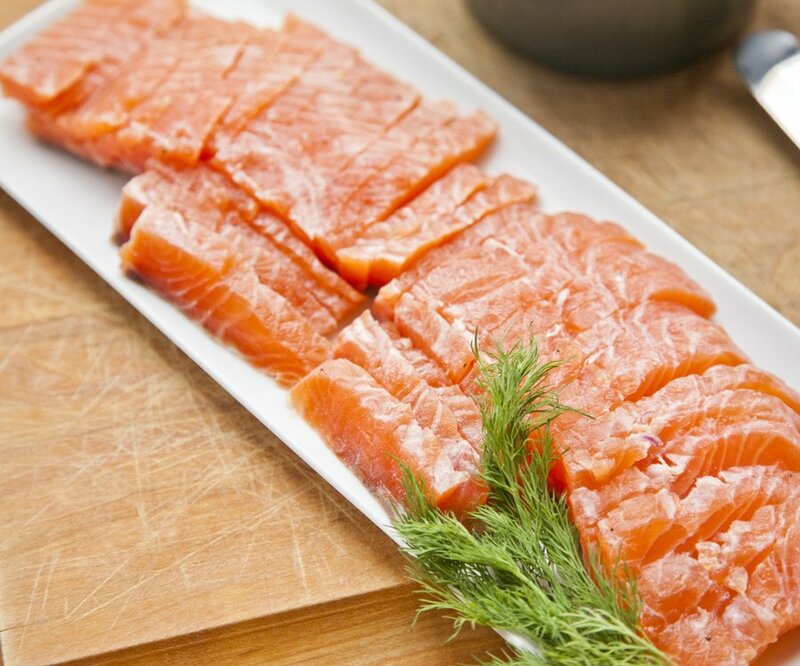 Tightly wrap up the salmon in plastic wrap, place on a dish and let sit in your refrigerator for 24-36 hours. When you're ready to eat it, unwrap the plastic, and rinse off the salmon in cold water - make sure all the cure is washed off. Lay down on a cutting board, dry the salmon carefully with paper towels and slice it thin on a 45 degree angel. Serve. As I mentioned before, store bought (not so great quality) lox goes for average $32/pound. My homemade Gravlax at 1 1/4 pound cost less than $15!!! I love a good deal when you make things from scratch!